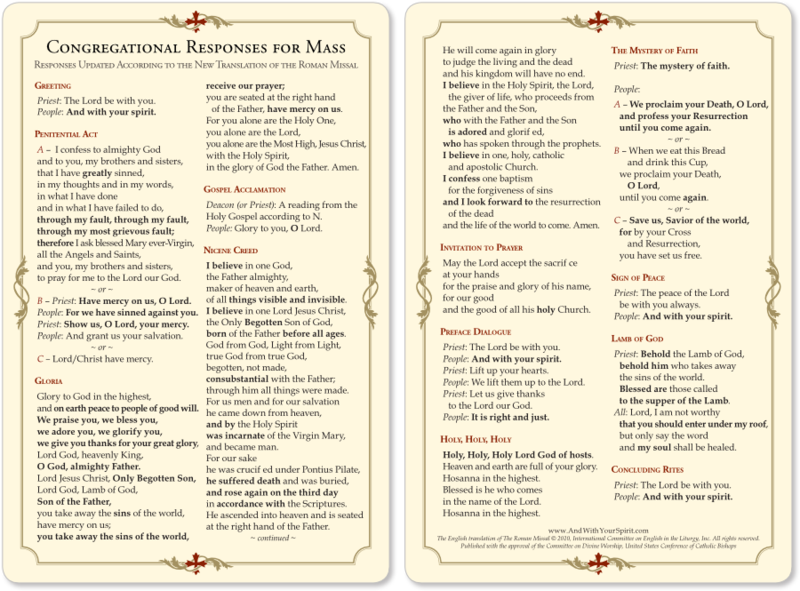 I found this pew card for the new translation of the Roman missal. Thought others might find it interesting! 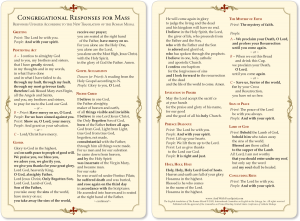 Holy Cross Church, Dover, DE is in urgent need of new and more prayer cards, i.e., “Responses and Prayers” for the Mass.